The Foundation Fighting Blindness, a national non-profit organization dedicated to finding treatments and cures for blinding retinal diseases, recognizes William W. Hauswirth, Ph.D., of the University of Florida College of Medicine, with its Llura Liggett Gund Award. The Foundation's highest research honor, this award has only been bestowed upon eight individuals in 42 years, who, throughout their long, extraordinarily productive careers, have moved the field of retinal disease research forward in a seminal way. Named for Lulie Gund, a Foundation Fighting Blindness co-founder and trustee, the Llura Liggett Gund Award was presented to Dr. Hauswirth in front of more than 600 members of the Foundation Fighting Blindness community at its VISIONS 2013 national conference on Friday, June 28 in Baltimore, Maryland. "The Llura Liggett Gund Award honors only the most impactful retinal researchers who have dedicated their careers to shepherding scientific advancements from bench to bedside," said Gordon Gund, Co-Founder and Chairman, Foundation Fighting Blindness. "Despite the challenges and commitment of medical research, these driven recipients have a keen vision and have continually helped the Foundation Fighting Blindness envision a future with sight." The Maida and Morris Rybaczki Professor of Ophthalmology at the University of Florida College of Medicine, Dr. Hauswirth is an innovator of delivery systems for sight-saving gene therapies. Using non-harmful adeno-associated viruses (AAVs) to transport healthy DNA into retinal cells at the back of the eye, he was part of the research group that first showed gene therapy could restore vision in animal models, including Briard dogs. His team's approach was then used in human clinical trials where children and young adults virtually blind from Leber congenital amaurosis (LCA) have had significant vision restored. 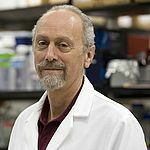 A longtime Foundation-funded researcher and member of its Scientific Advisory Board, Dr. Hauswirth, of Gainesville, Florida, began his gene therapy research in the late 1980s, even before the first genes linked to retinal degenerations were being identified. He now supplies the retinal research community with more than 400 gene delivery vectors a year for laboratory and clinical studies, and continues to refine the AAV technologies to make them more effective and easier to administer. He co-founded the company Applied Genetic Technologies Corporation (AGTC), which is using his technology to commercialize gene therapies for retinal diseases including achromatopsia and retinoschisis. "Dr. Hauswirth is the founding father of the most widely used retinal gene therapy delivery systems, and is among the 'best of the best' in our field," said Stephen Rose, Ph.D., Chief Research Officer, Foundation Fighting Blindness. "He's combined a lifetime of scientific achievement with selfless dedication to helping the Foundation Fighting Blindness advance its mission toward treatments and cures." "This is a wonderful honor and I am humbled to accept it," said Dr. Hauswirth. "Everything suggests that we are only at the beginning of bringing more gene-based treatments to deserving low vision patients, and I hope to be a part of many of them." To underscore the Llura Liggett Gund Award's importance, an anonymous donor commissioned Stueben Glass' President and Creative Director, Peter Aldridge, to create a unique work of art that embodies its essence. The sculpture captures elements of the eye and the retina, with a thick curved bottom suggesting that darkness is falling away, returning light and vision. The Foundation Fighting Blindness is a national non-profit organization driving the research that will lead to preventions, treatments and cures for retinitis pigmentosa, macular degeneration, Usher syndrome and the entire spectrum of retinal degenerative diseases that affect more than 10 million Americans. Since 1971, the Foundation has raised more than $500 million as the leading non-governmental funder of retinal research. Breakthrough Foundation-funded studies using gene therapy have restored significant vision in children and young adults who were previously blind, paving the way for additional clinical trials to treat a variety of retinal degenerative diseases. With a coveted four-star rating from Charity Navigator, the Foundation also has nearly 50 chapters that provide support, information and resources to affected individuals and their families in communities across the country.